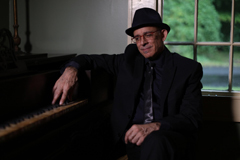 Hailed by reviewers from the New York Times to the San Francisco Chronicle for his “thrilling” and “unique” piano playing, Kenny White is a talented singer/songwriter and a successful NYC-based record producer. He has written, performed and produced music for hundreds of TV and radio commercials as well as film soundtracks, and has worked with stars like Keith Richards, Merle Haggard and Linda Ronstadt. 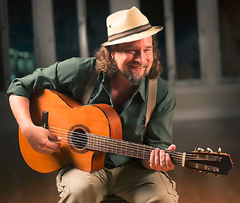 Lipbone Redding is an award-winning vocalist, guitar player, voice-strumentalist, storyteller, songwriter, author, teacher and traveler. He is best known for his one-man orchestra show; simultaneously playing, singing and making the instrument sounds with his mouth and without the use of a loop pedal. Lipbone incorporates a full spectrum of musical styles from American roots and jazz to throat singing and Indian classical.